As an astrophysics major that grew up on Star Trek, space travel has been in my eyes a little bit more than a child’s fantasy that I willingly want to take too far. I’ve been no stranger to the religion versus science debate that has been intermittently popping into my head since the tender age of nine. 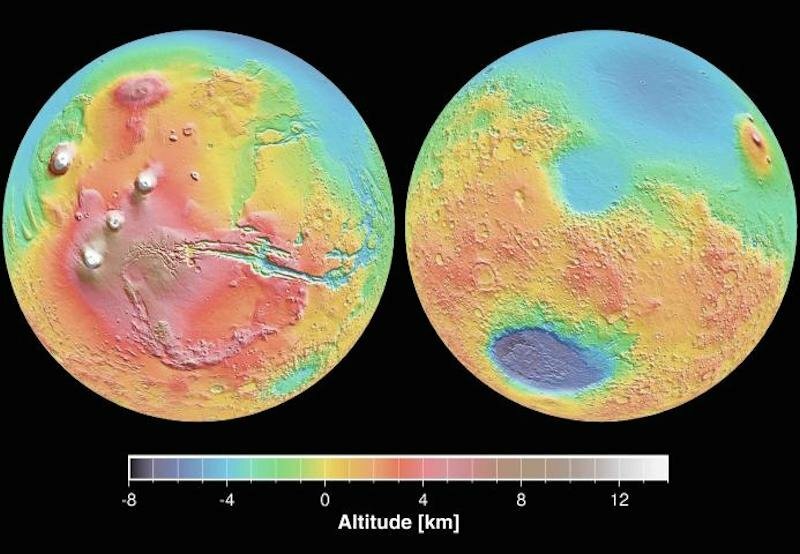 The spotlight in the scientific community has recently been on Mars, where the National Aeronautics and Space Administration announced on Sept. 28, 2015 that liquid water flows on the planet’s surface — and plans for a human colony by the 2030s has long been a candidate in the running. Mars One, a Dutch company that privately funded the project to send from an applicant pool of 200,000 humans on a one-way trip to the planet have narrowed down the candidates to a little more than 1,000. Reportedly, 500 Saudis and Arabs had also applied to take part in the mission. GAIAE equates this leap of mankind akin to that of committing suicide, inherent with too much risk to justify a “righteous reason” for people to want to travel on such a journey. Okay, what about the verse in the Qur’an in Al-Rehman 55:33 that also states, “O assembly of Jinns and Men, if you can penetrate regions of the heavens and the earth, then penetrate them! You will not penetrate them save with a Power,” often deeply interlinked with the possibility and necessity of space travel? While that is a bold claim that I seriously side-eye, the problem lies with the criticism of Mars One’s feasibility, its claim of $6 billion funding being enough in comparison to the $102 billion for the Apollo moon program in the 1960s, and the lack of preparedness for the challenges. Mars One may have a plan set in motion, but it’s unrealistic. The fear is justifiable, considering how difficult this plan is to fund the initial landing, and to sustain over a long period of time. My backlash on the fatwa, however, is due to the inherent nature of response to space travel — or colonizing Mars at all. The ruling is unnecessary, considering Mars One wouldn’t even be able to send people if the technology simply does not exist (which, it doesn’t). It implies that because of imminent risk we should not seek the company of the stars if we are able, and is a direct perpetuation of limiting human progress due to fear. NASA itself has been planning for Mars using robotic spacecraft, rovers, and finally astronauts that would first land on an asteroid, collect samples — and eventually plan to head toward the planet by the 2030s. The Journey to Mars involves the use of the new Orion spacecraft — far more advanced than any previous Apollo craft — designed for humans to travel to deep space. And with all due respect, it’s not exactly like NASA has been on top of its game until recently either — India’s successful launch of the Mars Orbiter Mission (MOM), landing only two days after NASA’s Mars Atmosphere and Volatile Evolution Mission (MAVEN) on Sept. 24, 2014 at one-tenth the cost is evidence that other countries have begun to formidably challenge the U.S. in leaping forward. After the abysmal shutdown of the space shuttle program in 2011 as well as 97 percent of NASA during the government shutdown of 2013 — things have only now begun to look up toward space research once again. Why then, should this research be diminished by any means not purely scientific? I’ve been a distinct advocate for these studies — I think it’s incredibly important to look for alternative solutions beyond the lines and maps fabricated by us on a tiny rock we ourselves have doomed to fail. And it’s hurdles such as this kind of inflicted religious fear, which only widen my own guilt of straying even further. Even though it’s unlikely that Mars One will be the company to get us to Mars, that doesn’t mean we should stop trying — especially not any Muslims looking into the field or like me, wanting to be the next Anousheh Ansari. If we do end up miraculously establishing a Mars colony before 2040 — whether it be through the Netherlands, the U.S., or some third contender — you can bet that I’ll either have been working on the research myself, or be sending selfies from 33.9 million miles away. Images from NASA, MIT and Mars One. Why Don’t South Asians Talk Mental Health? Shanzay is the Exec Editor at MuslimGirl. She is also the resident nerd. Astronomy, math, science fiction and video games are the bane of her existence. Reference humor and bad puns encompass whatever remains. Questions about MG? Shoot them her way at shanzay@muslimgirl.com! Before venturing further to send humans to Mars, it would be quite justified for the critics if test-runs in the form of sending machines and bringing them back safely to earth are conducted. I think that scientists are already moving with that aim in mind. Not only it will dispel any notion of sending suicide mission in the form of humans never being able to come back to earth but will also give a boost to the technology for further space ventures. She should have done more research for this article, it would seem.